Winter is round the corner and many of us like to wear darker colours in both clothing and makeup to match the cold weather. 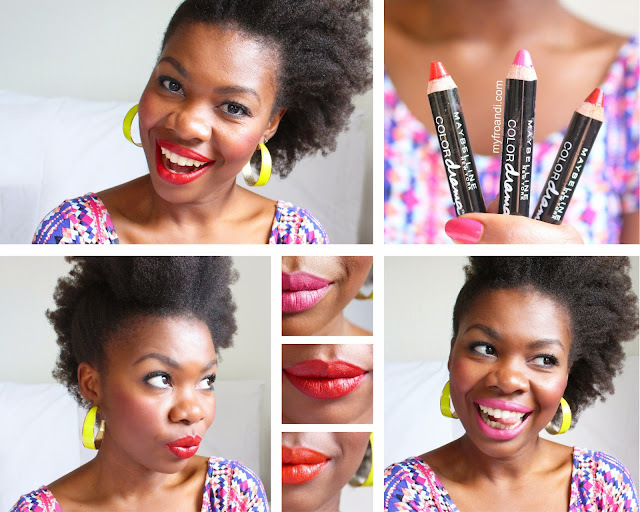 So I wanted to share with you some summer colours before you think you should put them away. But if you’re a color lover like me, we can also wear them all year round. 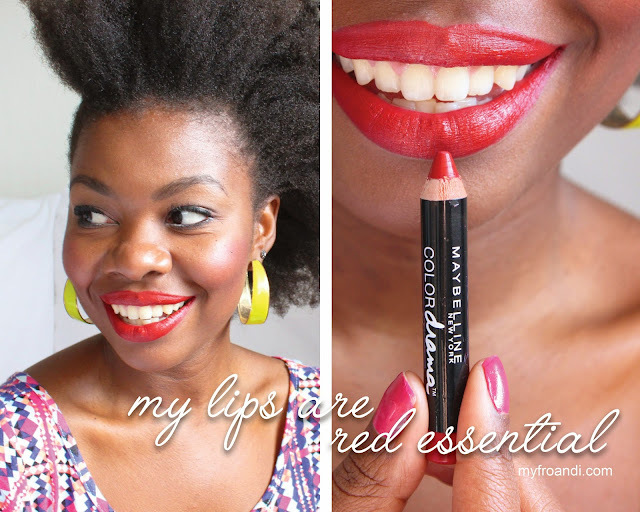 I stumbled on Maybelline’s Color Drama Intense Velvet pencils when I was on the search for the perfect orange lippie. After trying so many different swatches (and consequently leaving Dischem looking like a kid in an art store) I finally found it. Maybelline’s Color Drama pencil in Fab Orange is so far my favourite orange lippie. I loved it so much I went back the next week to buy other shades. I got myself psyched because when looking online for them, they had so many other gorge looking colours. Unfortunately I haven’t found such an extensive range in Jozi. So my collection consists of: Red Essential, Fuschia Desire and Fab Orange. 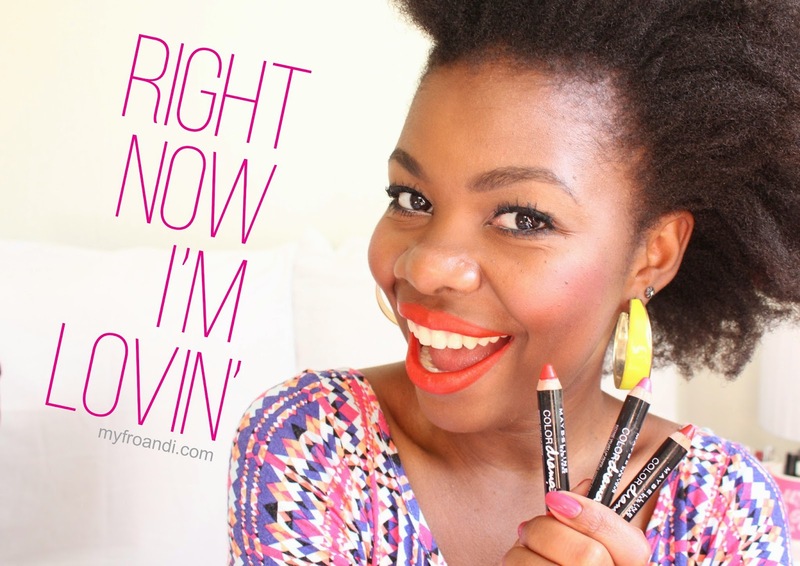 They’re pencils so you can wear them a variety of ways : as a lip liner, as a full on lipstick and even as blush (yes, blush, I encourage you to be resourceful like that). They’re so versatile, they were the main stars of my honeymoon beauty bag contents. They’re highly pigmented so they’re true to their colour. 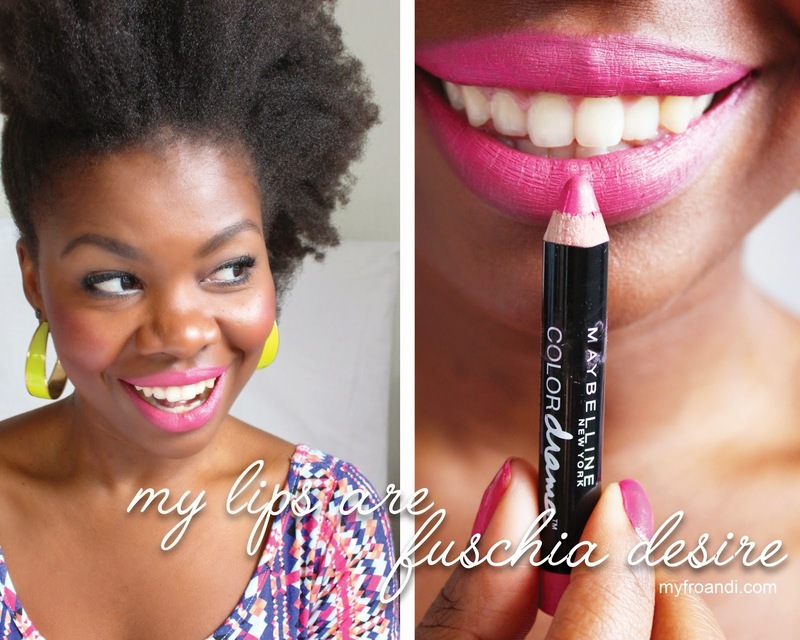 I’ve found that many lippies look one colour then when you finally put it on, the colour fades. These are as pink, orange and red as you see them. To get bolder colour, I layer my applications. They’re matte finish but don’t go on chalky. I have an issue with many matte lippies because my lips are naturally dry and most dry them out further and aren’t smooth to apply. So my only gripe with them is the colour options. I’ve only seen the above and 3 other shades in store that are a bit too pale for my skin tone. I’d love to try their Berry Much, In with Coral and Keep it Classy. I think they’ll all look fab. I hope they’ll extend their colour options in SA soon ‘cos they’ve fast become a staple of mine. I got my pencils from Dischem for approx. R79 each. Have you tried these goodies? They all look beautiful on you! I also have dry lips, so finding the right (and affordable) matte lipsticks is not always easy. I will definitely look out for them next time I go to Dischem! 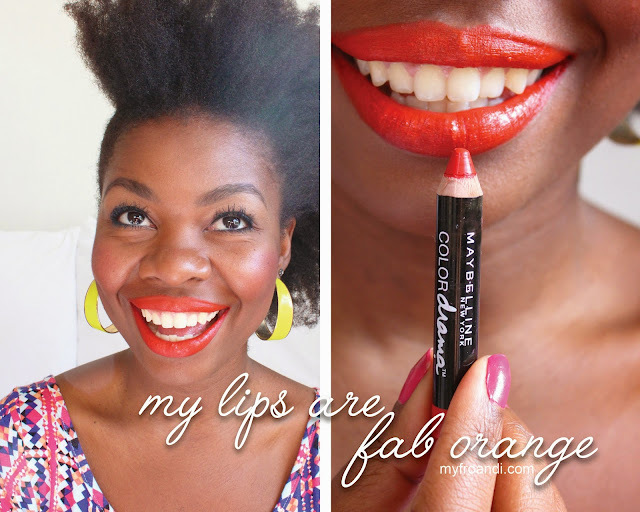 If only you knew how much I've been searching for the perfect orange lippie.